Screen Ireland has announced the successful teams for the latest edition of its Short Stories short filmmaking scheme, which will receive their world premieres at the 2019 Galway Film Fleadh. 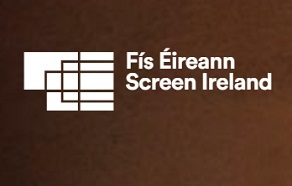 Screen Ireland has also achieved 50/50 gender equality across the scheme, as the agency remains committed to supporting diversity and inclusivity in the Irish screen industries. Short Stories are live-action or animated fiction films between 2 - 5 minutes in length. The scheme invites filmmakers to use their imagination, creative story-telling and visual talent to excite audiences with succinct, inspiring and event entertaining films. 'Wrath', to be written and directed by Suri Grennell and produced by Bjorn Mac Giolla for Bear Print Films. At the precipice of womanhood and plagued with foreboding dreams, Maria must confront the mistrust of her family as a strange epidemic sweeps the nation. 'Break Us', to be written and directed by Rioghnach Ni Ghrioghair and produced by Claire McCabe for 925 Productions, with Laura McNicholas on board as executive producer. During the course of a robbery, a loved-up couple discovers what they're made of. Will they break the law, or just break up? 'Twin', to be written and directed by Ciaran Dooley and produced by Matt D'Arcy for Banjoman Films. On the eve of her 21st Birthday, AVA explores the grief felt by the loss of her twin sister and attempts to overcome it. 'Something Doesn't Feel Right', to be directed by Fergal Costello, written by Ged Murray and produced by Fiona Kinsella for Jumper Productions. A weary slasher villain puts in the hours and planning necessary to pull off perfect kills until he encounters victims that don't behave like they should, dammit.